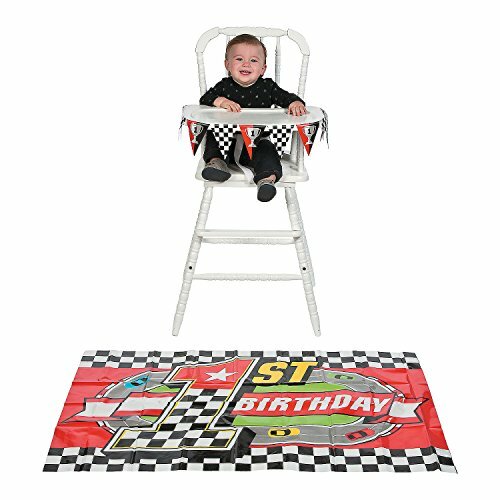 First Birthday Race Car High Chair Set. Perfect for your race car themed party. Includes a 45" pennant banner and a 30" x 44" mat. Plastic. 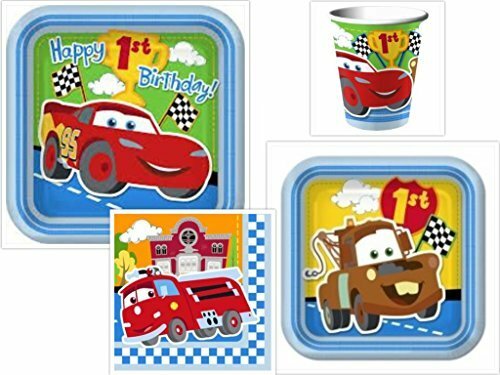 Celebrate your first birthday with our beautiful high quality Cars 1st Birthday Collection. 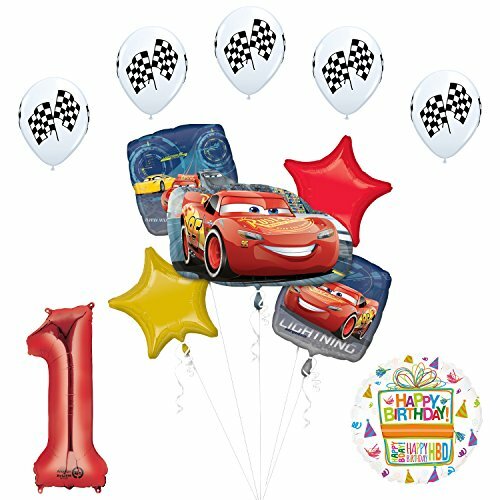 With this kit you will receive: (1) 30 inch Cars Lightning McQueen SuperShape foil balloon, (1) 34 inch Giant Red Number 1 foil balloon and (1) 18 inch Birthday Present balloon, (2) 18 inch Square Cars Lightning foil balloons, (2) 19 inch Star Shaped foil balloons 1- Red 1- Gold and (5) 11" Qualatex Checker Racing Flag print latex balloons. Just add Helium and ENJOY! 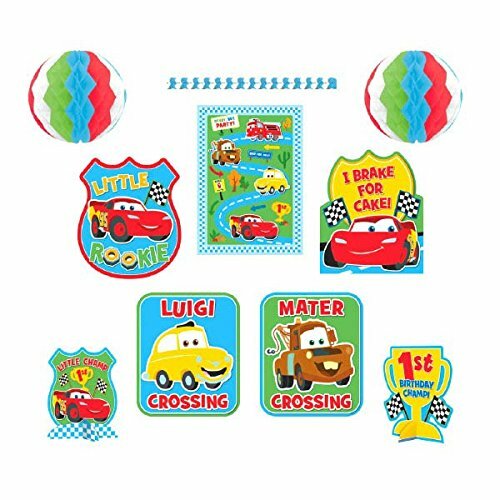 Champion your little one's birthday with our 1st Birthday Cars Room Decorating Kit! Hang colorful garland and honeycomb decorations to create a winning party for your little racer. 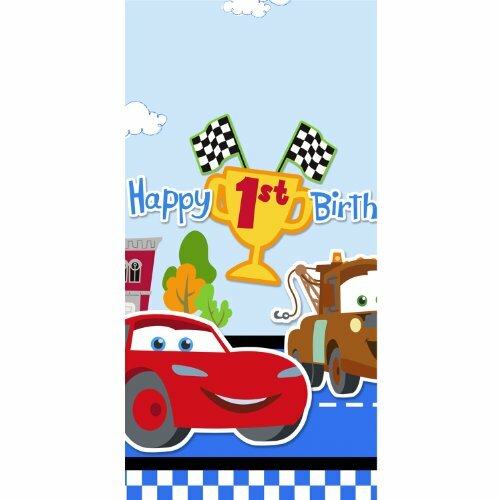 Decorate like a champ with our Cars 1st Birthday Hanging Decorations! 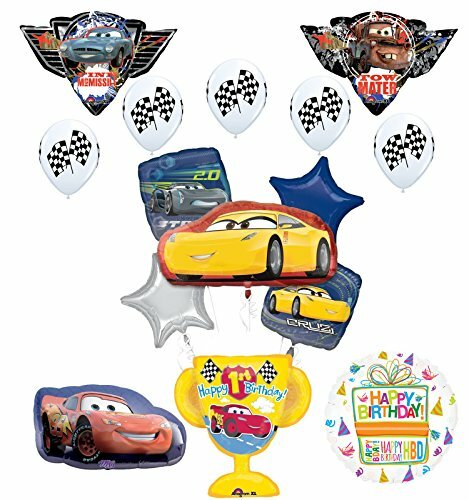 Our Cars dangling decorations feature foil spirals and cutouts of your favorite Disney Cars characters. 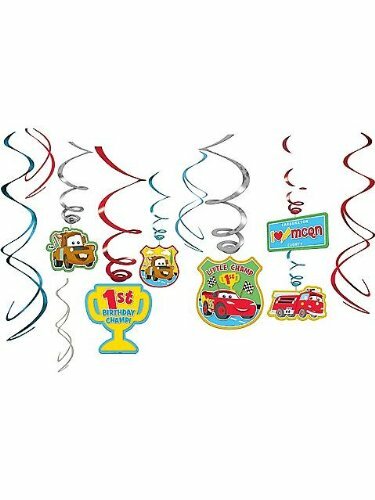 Add Cars hanging decorations to other Cars 1st birthday decorations to cover your party from floor to ceiling! 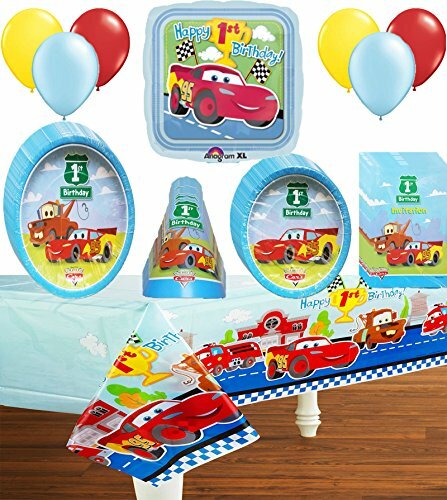 With this kit you will receive: (1) 30 inch Cars Lightning McQueen SuperShape foil balloon, (2) 33 inch two sided Tow Mater and Finn McMissile foil balloons, (1) 35 inch Cruz Jackson foil balloon, (1) 27 inch 1st B-Day Trophy foil balloon, (2) 18 inch Square Cars Cruz foil balloons, (2) 19 inch Star Shaped foil balloons 1- Blue and 1- Silver and (5) 11" Qualatex Checker Racing Flag print latex balloons. Just add Helium and ENJOY!